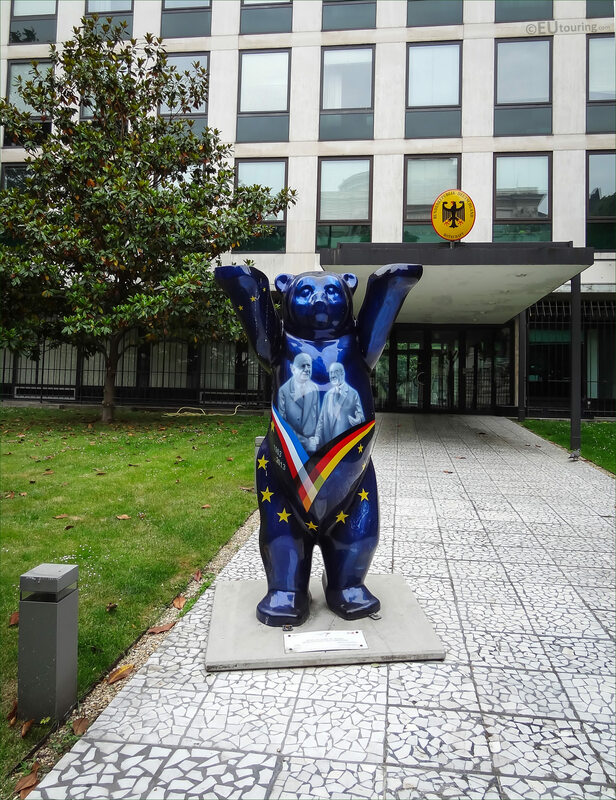 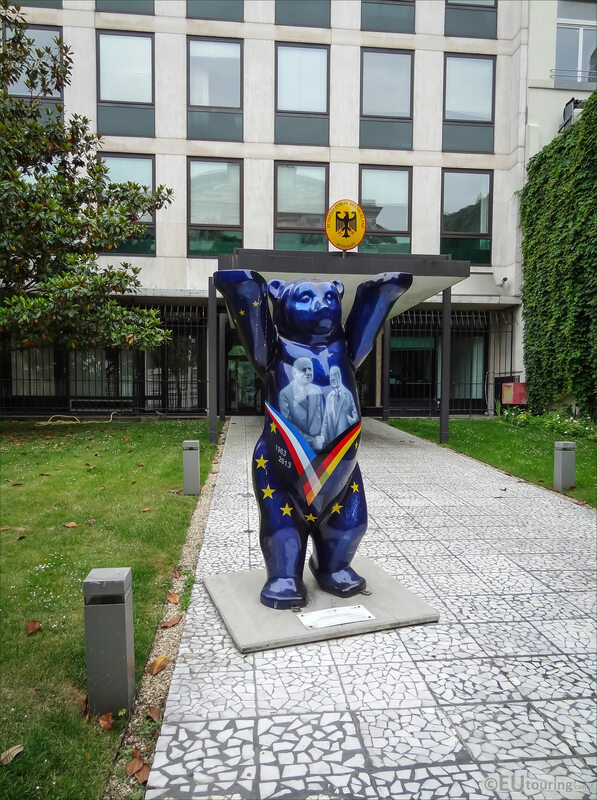 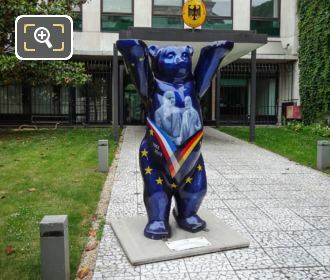 We were again in the 8th Arrondissement of Paris when we took these high definition photos showing a statue known as a United Buddy Bear located at the German Embassy in Paris. Known as a United Buddy Bear, this first HD photo shows the life size painted fibreglass bear, which was produced in 2013 to portray a message of peace, international understanding and tolerance among the nations, cultures and religions of this world. 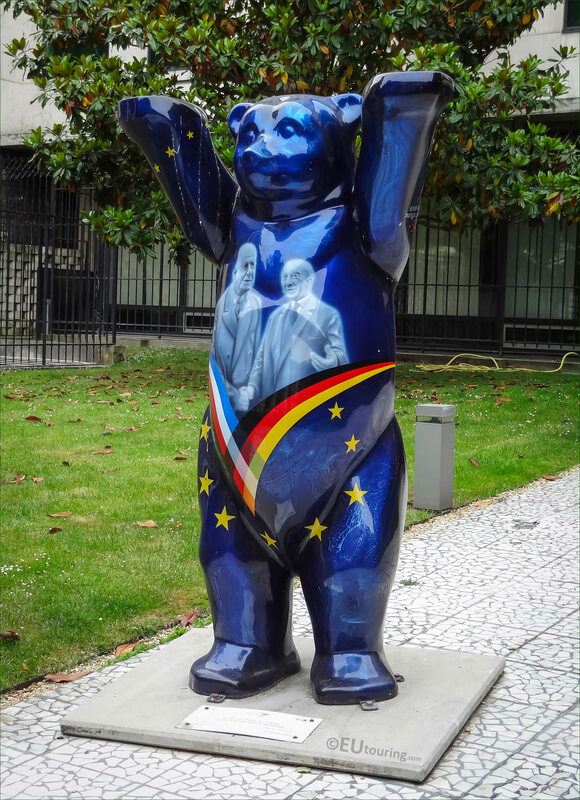 Now Buddy Bears and United Buddy Bears were originally the idea of Klaus and Eva Herlitz who are business people from Berlin with the very first one being produced in 2001, and it has become a global event, where numerous nations have commissioned an artist from their country to produce a United Buddy Bear. So putting a little history behind this particular bear, this recognises The Elysee Treaty, which was a treaty of friendship between France and West Germany that was signed by President Charles de Gaulle and Chancellor Konrad Adenauer on 22nd January 1963 at the Elysee Palace in Paris. 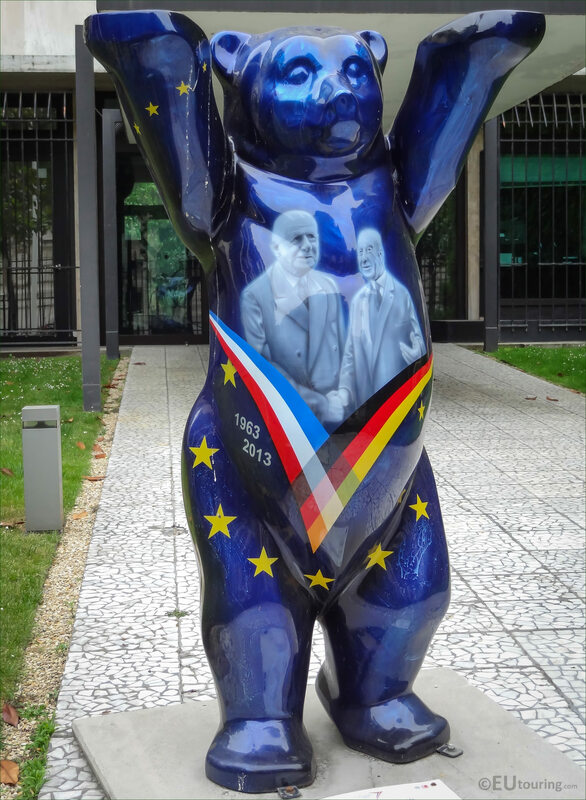 And with the signing of the Elysee Treaty, Germany and France established a new foundation for relations that ended centuries of rivalry, which is why in this close up HD photo you can see both Charles de Gaulle and Konrad Adenauer on the chest along with the dates of 1963 and 2013, marking the 50th Anniversary of this event. 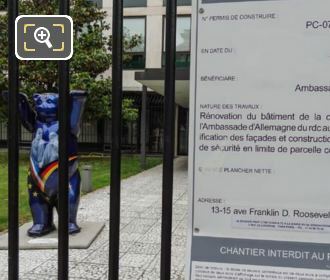 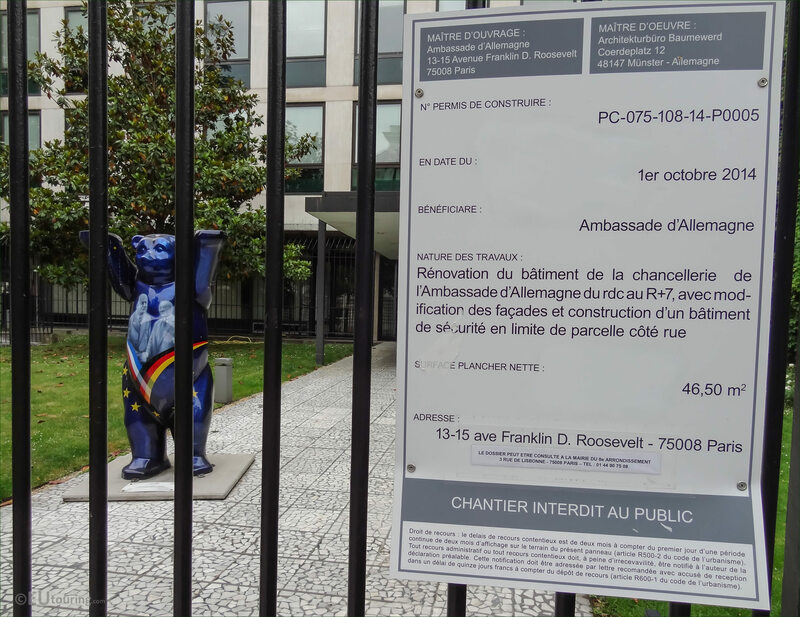 Unfortunately, the German Embassy was not open when we took these photograph, so we could not get close enough to read the plaque at the base of the United Buddy Bear, but as you can see, this is located at 13-15 Avenue Franklin D Roosevelt in the 8th Arrondissement of Paris on the walkway to the German Embassy entrance. 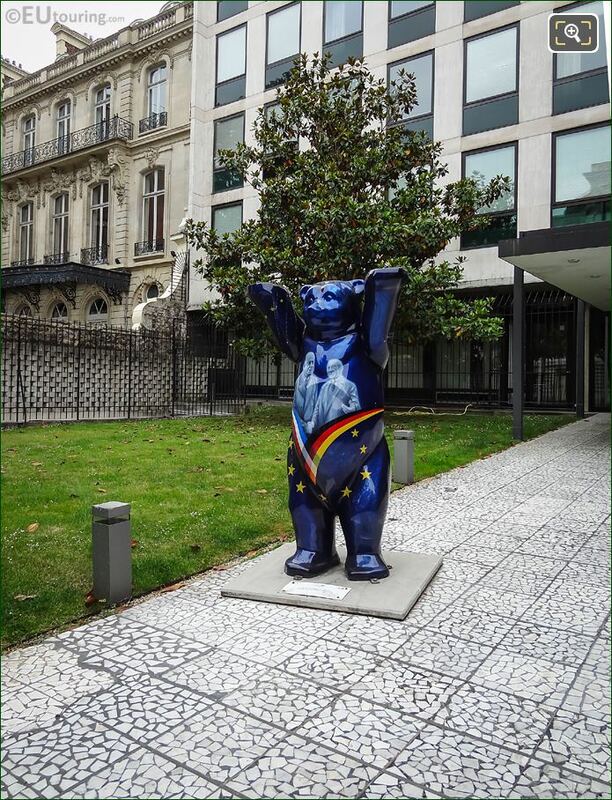 But to recognise not only the 50th anniversary of the Elysee Treaty, but also the 25 years of town twinning between Paris and Berlin, this United Buddy Bear was part of an exhibition held within the Champ de Mars, which is where the famous tourist attraction of the Eiffel Tower is located, and for over five weeks there were more than 140 two metre high bears from all over the world designed to promote peace. 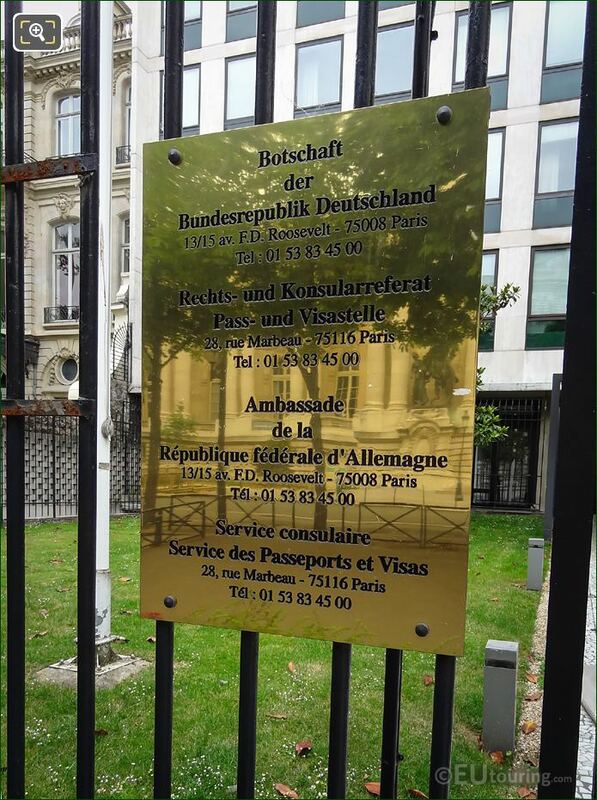 And the exhibition was launched by a representative of the City of Paris, Pierre Schapira along with the project founders Eva and Klaus Herlitz, plus as you can see on this plaque, it states Ambassade de la Republique Federale d'Allemagne, which translates from French into English the Ambassador of the Federal Republic of Germany and Dr Susanne Wasum-Rainer, the German Ambassador in Paris, was also present at the exhibition launch.